Ahhhhhhhh Killspencer. How we long for thee. These guys are batting a thousand, as we love every little thing they drop on us. However, their latest, the Dopp/Folio, might just be their most clever. 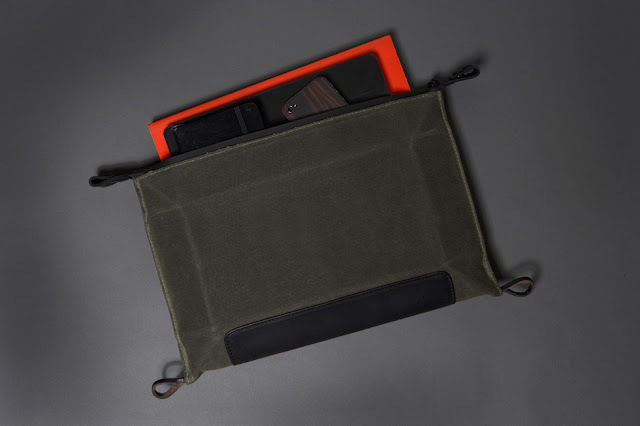 It's your basic dopp kit, large enough to hold all the necessary toiletries, but arrive at your hotel, empty out the contents and do a little transforming, and you have a slick little folio for your everyday carry (see pic after the jump). 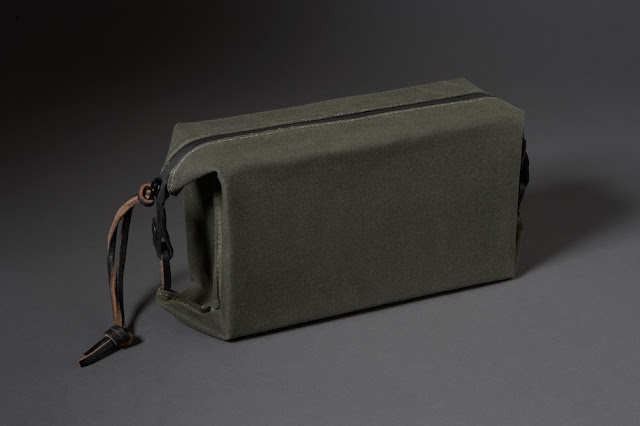 Of course, like all of their products, it comes in the Korean War era military canvas...which we still love. If that's to your thing, fine leather in various hues is also an option. You can learn more here.